American Sharpening On Line is now offering knife sharpening for all types of knives at a very reasonable cost. For all knives of any size the cost is only $. Extend the life of your knives by washing them by hand. Dishwashers expose your knives to harsh detergents and very hot temperatures. This can cause your knives to dull quickly or cause rust. Wipe knives clean when you are done. This prevents discoloration. It also keeps foods from hardening on the blade which will cause improper cleaning and lead to a dull blade. 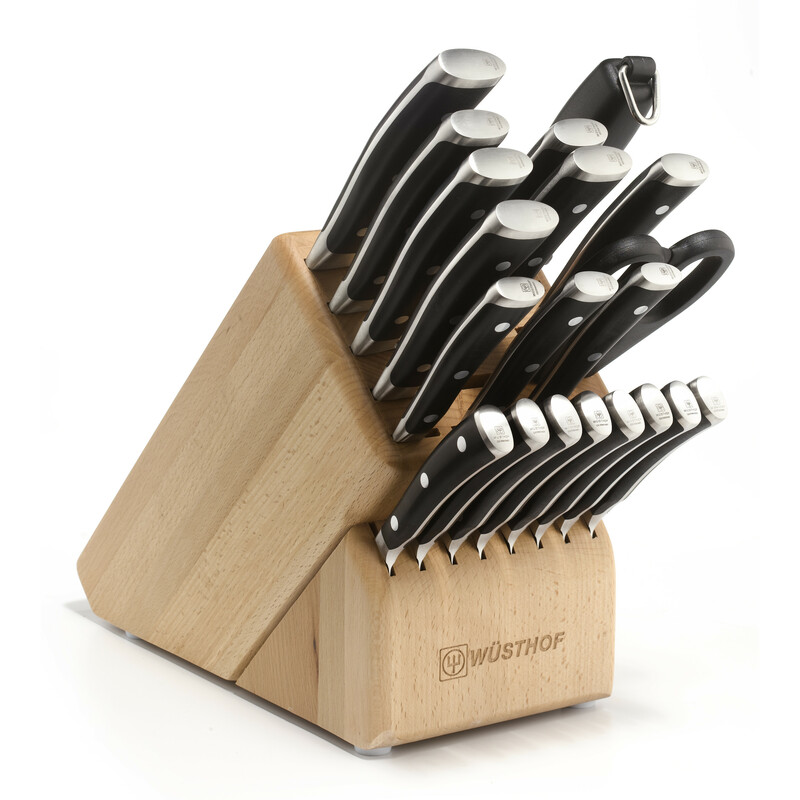 Important: Store knives on a strong magnetic holder or in a wooden or polyethylene knife block. Don't just pile you knives on top of each other in a drawer. Keep them separated from each other or other utensils. Improperly stored knives is one of the fastest ways to cause a knife to dull. Never use a glass, ceramic, metal or plastic cutting board. Use wood or polyethylene cutting boards to create less resistance to the knife edge. As you are cutting, try to release some of the downward pressure as you begin to get close to the cutting board. This will help keep your edge sharper. Occasionally wipe your blades and wood handles with vegetable oil. This keeps them from rusting and helps prevent wear. Have your knives sharpened regularly! Stainless Steel: Unlike carbon steel, stainless steel blades do not discolor or rust, however, they are not hard enough to maintain the best edge. High Carbon Stainless Steel: A combination of the best attributes of carbon steel and stainless steel blades. Titanium: Titanium blades are made from a mold of titanium and carbides. When compared to steel, titanium is lighter, more wear resistant, and holds its edge longer. The titanium blade is more flexible than steel, they work best for tasks such as boning and fileting. Ceramic: Ceramic blades are made of zirconium oxide and aluminum oxide. Although they are much more delicate than steel knives, they tend to hold their edge up to 10 times longer. Once the blades have dulled, they must be sharpened by a professional. Plastic: Plastic blades are used with the primary goal of preventing vegetables and such from becoming discolored from the blade of the knife. Plastic blades are not very sharp and require some force when cutting.